Garhwal Post has established itself as a credible, balanced and forward looking newspaper in India. Based in Uttarakhand, the daily is read by the aware, socially and culturally responsible, high-income elite of society. As a result, it serves as the cost-effective vehicle for advertisements targeted, in particular, at this segment. The newspaper not only preserves the brand equity of products; it also imparts its own brand equity earned through considerable effort over the years. The Garhwal Post was launched on 27 September 1996 as a weekly newspaper. On 2 July, 2006, the daily edition was launched by iconic journalist (Late) Vinod Mehta, of ‘Outlook’ fame. Satish Sharma is Editor and Owner of Uttarakhand’s Premier English daily, ‘Garhwal Post’, which is in its 23rd year of publication. 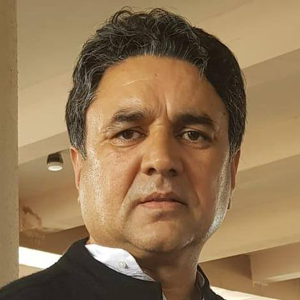 Active in journalism from 1988, elder son of veteran journalist Shri Upendra Kumar Sharma and a second generation journalist he also has a publishing house. He has travelled extensively in India and abroad. Born in Roorkee, Satish did his advanced journalism from the International Institute of Journalism, Berlin in 1993. From a very young age he picked up and developed a hold of printing business in all its dimensions, from technical to marketing. Satish began his career as a reporter for ‘Doon Dwar’ and then served as Bureau Chief in Dehradun of Hindi Daily ‘Vishwa Manav’ for a year and a half. Following this, he freelanced for some time, during which time his work was published in a number of prominent newspapers. On 27 September, 1994, he launched the Garhwal Post (Weekly edition) and is its Editor. The fact that the newspaper has shown a continuous rise in circulation and turnover in its 23 years of existence is a tribute to his abilities, particularly in demanding conditions that prevail in a small city like Dehradun. In 1997 and 1998, he was the General Secretary of the Dehradun unit of the UP Working Journalists Union. He has also held the post of Treasurer, Uttaranchal Working Journalists Union. In 2003, he also held the post of Treasurer of Doon Press Club. Satish is also promoting the state through its film company ‘Uttarakhand Film Producers Enchanting Himalaya’ amongst the Indian and foreign filmmakers. He has also compered several programmes for Doordarshan and various other TV channels. He is an actor also and has worked in a TV serial ‘Uttarakhand Ke Janbaaz’ and acted in few movies. Satish did a cameo in his first movie as MLA in ‘Maazi’ in 2013 starring Sumit Nijhawan and Mona Wasu, later he worked with Govind Namdeo, Deepraj Rana, Sweety, Shehzad, Abhishek and Roshni Walia in ‘Gang of Littles’ and played Chief Minister’s role, in 2016 he worked with Salman Khan in Yash Raj Film ‘Sultan’, directed by Ali Abbas Zafar and again played politician. His two times appearance in ‘Sultan’ was liked by everyone and he was in the news for the same. Satish has played a lawyer in the film ‘Viraam’ starring (Late) Narendra Jha and Urmilaa Mahanta. His forthcoming movies are: ‘Firkee’ starring Neil Nitin Mukesh, Jackie Shroff, KK Menon, Karan Singh Grover, Deepraj Rana, Sandeepa Dhar and Purva Rana. Also, one South Indian unnamed film directed by iconic DOP turned director KV Anand, starring Suriya, Mohanlal, Sayesha Sehgal, Kiran and Suhail. Again he played politicians’ role in his first South Indian film to be released in Tamil, Telugu and Malyalam languages. Both the films are schedule to be released in March-April in 2019. He is married and has a son and a daughter. You can follow him on social media. The daily Garhwal Post has added a substantial new dimension to the style of journalism that the weekly Garhwal Post represented for over a decade. It belongs to a region that has suffered neglect in various ways. The creation of a separate state was an acknowledgement of these difficulties. As such, apart from functioning as a vehicle for news, Garhwal Post has the responsibility of helping create an environment that leads to development, employment generation and social awareness. As a regional newspaper of considerable influence it is playing its role in combating the backwardness of the Uttarakhand Himalayas. It is fast expanding its footprint across a growing readership, particularly of young people. It is truly on the way to becoming the newspaper ‘For Tomorrow’s People’. Garhwal Post gives the biggest bang for the buck because it is subscribed to by the most influential and high spending sections of society.